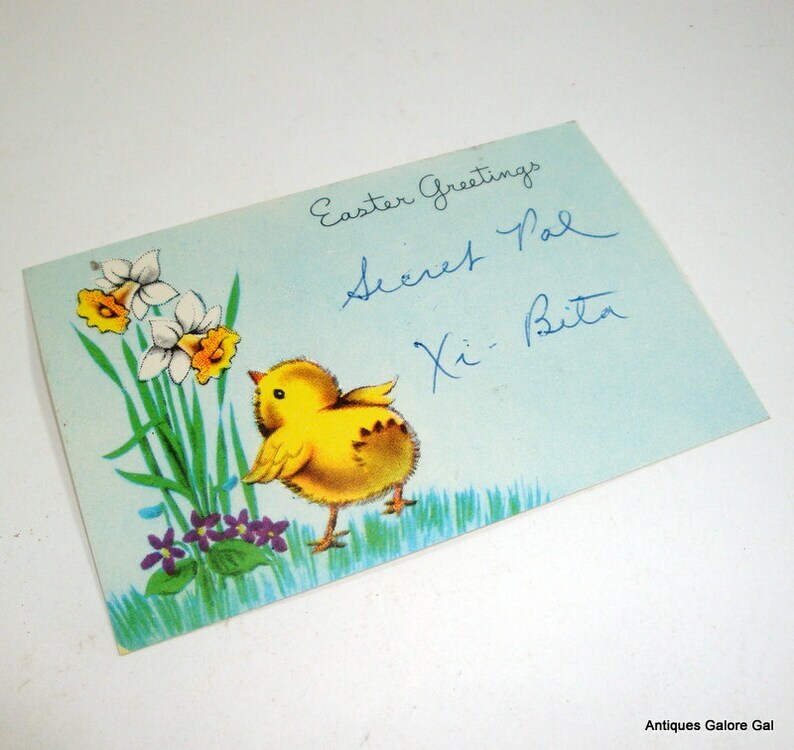 Vintage Easter Greetings florist card, signed Secret Pal, Xi-Beta. Stamped on back with flower shop the card came from. Perfect for scrap book pages. Measures 3 1/2" x 2 1/4". Return to VintageTinsel for more shopping and thanks for looking! I'll combine your orders and I do ship worldwide.